Holidays are right around the corner and this means so hectic days are up ahead as we shop shop and shop to make sure we get everyone on our list something amazing for Christmas. So while you are sipping your eggnog in front of the fireplace, making your list and checking it twice I thought I would give you some food for thought. Kids these days love their electronics! They do. 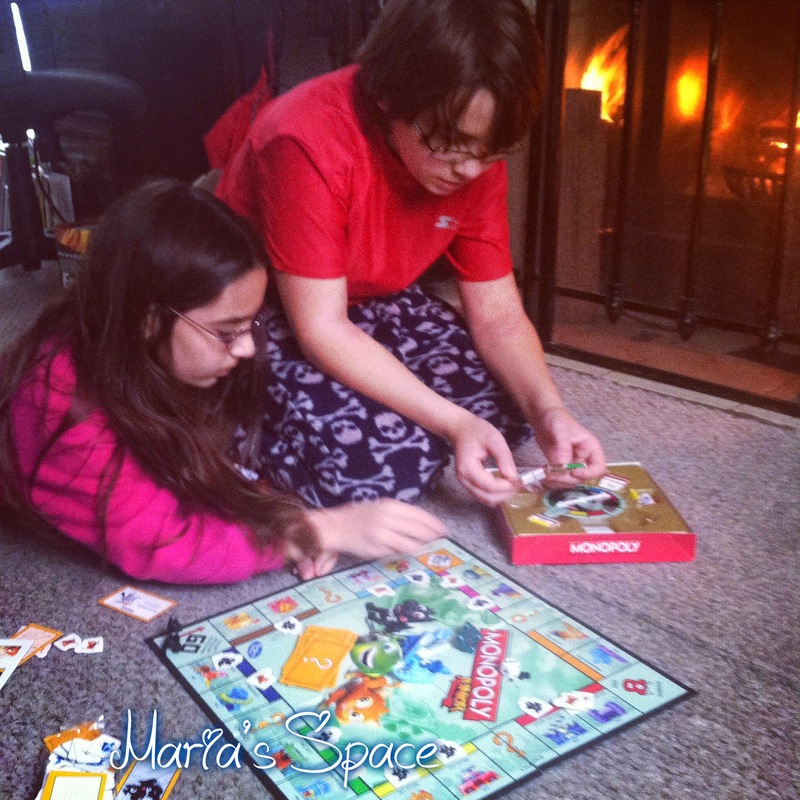 They love their computer games, their video games, their smartphone games but if you really want to spend some time together as a family, there is nothing like good old board games especially on days when the electronics aren't available like this past Thanksgiving when my whole town ended up without electricity for nearly 20 hours. Yeah it was an interesting Thanksgiving but more on that some other time. 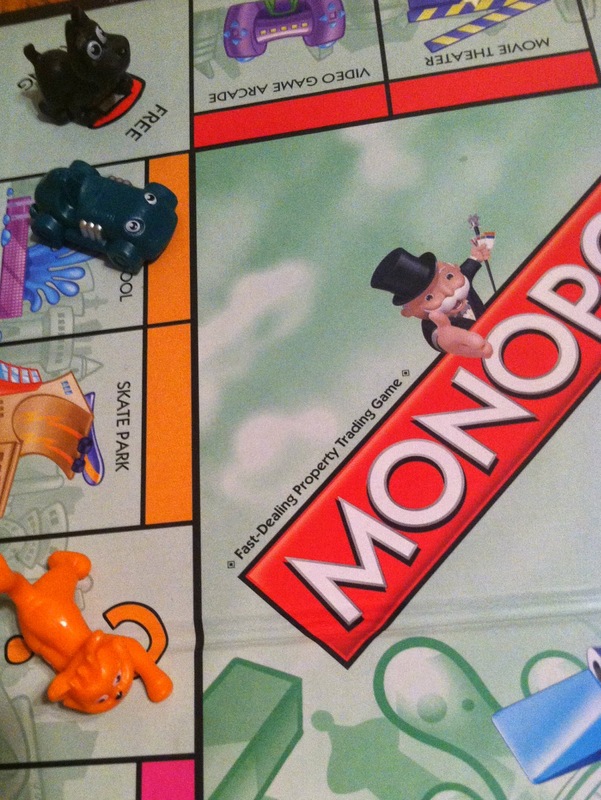 Thankfully, the week before we received a shipment from Hasbro that kept my family sane on a really different Thanksgiving. 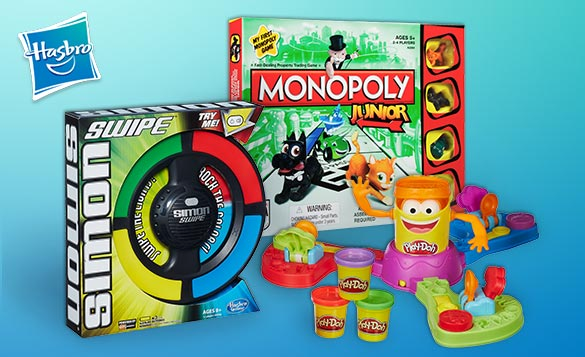 The book contained Simon Swipe, Monopoly Junionr and Playdoh Launch. 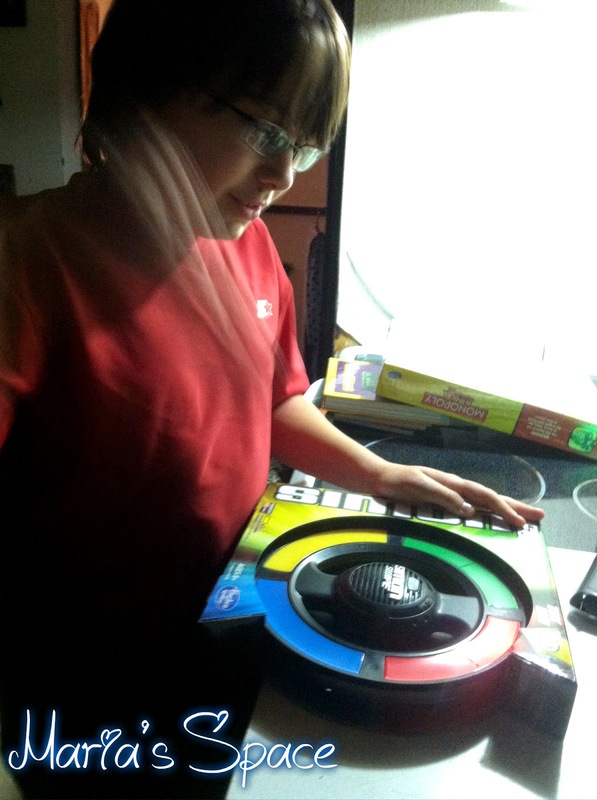 Handsome got right to the Simon Swipe which is a great new Simon game. I loved playing Simon as a kid with my sisters and love how they have altered the game to contain some swipes of the keys. It was so much fun and out of all of them this is the one I see them playing most often. 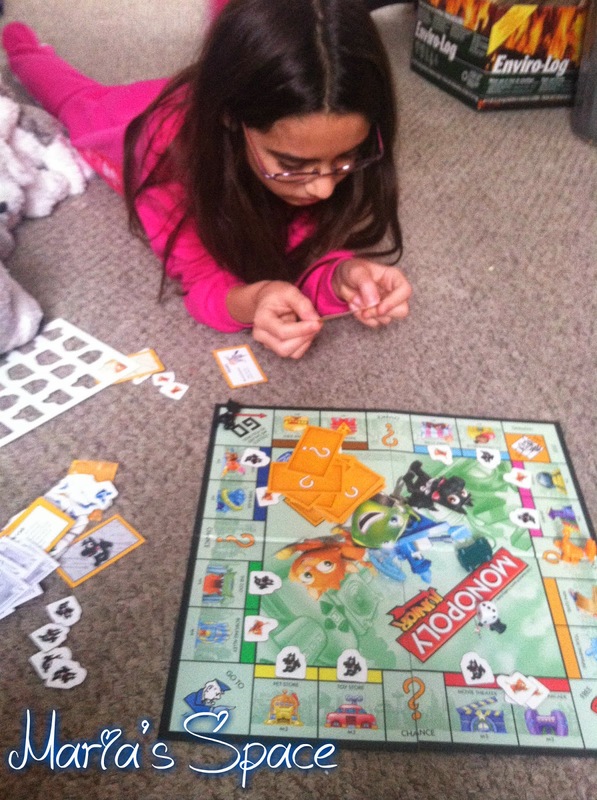 The Monopoly Junior is really a great game and at the moment I am so upset because we lost a whole 5 minute video on the game. It was really a fun video with Goddess and I explaining how you play it. I am not sure where it is and have searched all my folders. UGH. If I find it, I will post it but I believe it is lost forever. It is definitely a game that can be played with kids as young as 4 and isn't as long as the original. You land on the property, you buy the property. You place your card and everyone who lands on it pays you. The best part is that the prices are all in the ones place so there is no big counting for the little ones involved. 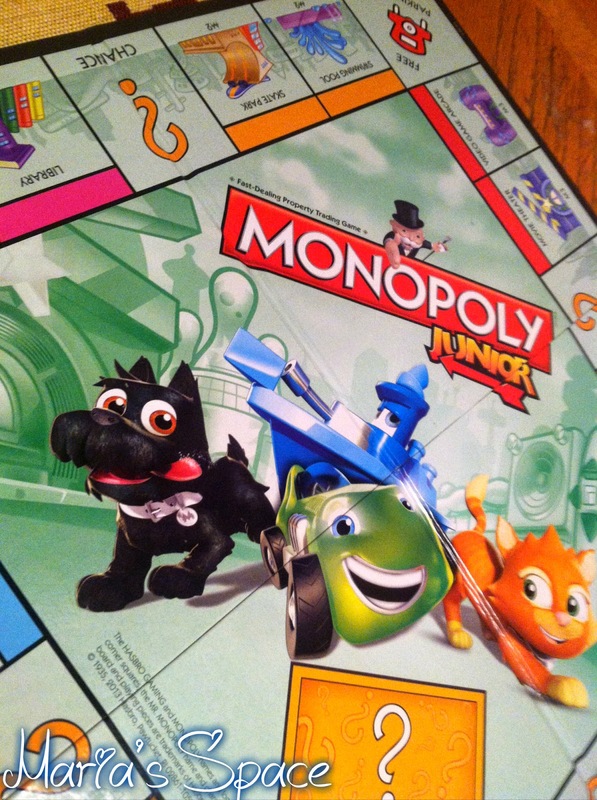 We love the game pieces which consist of a car, cat, dog and boat. 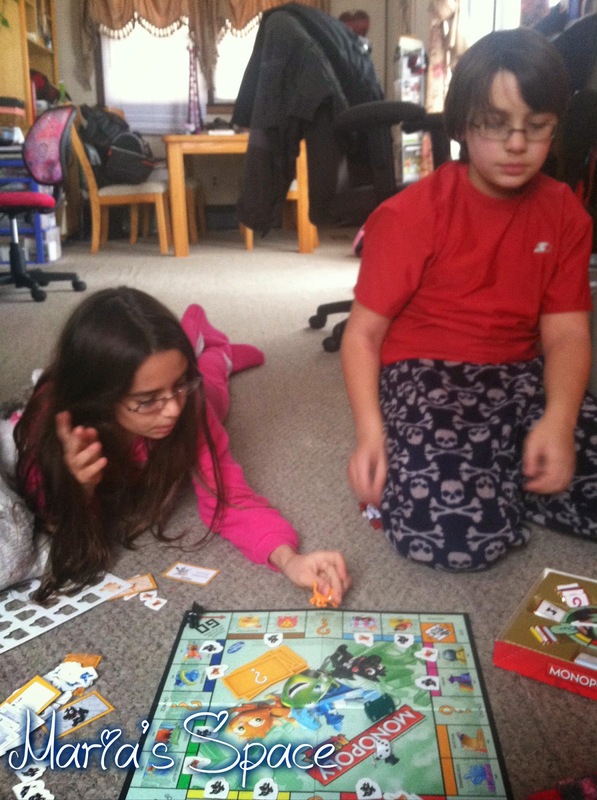 Here we are playing it on Thanksgiving on a very cold morning. 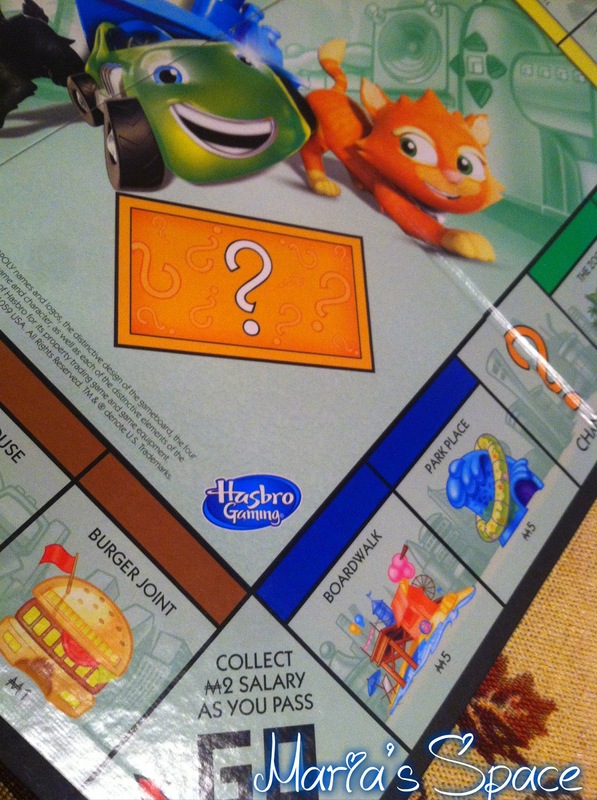 The board is so colorful and the cards make for easy buying of property if you get the right one. 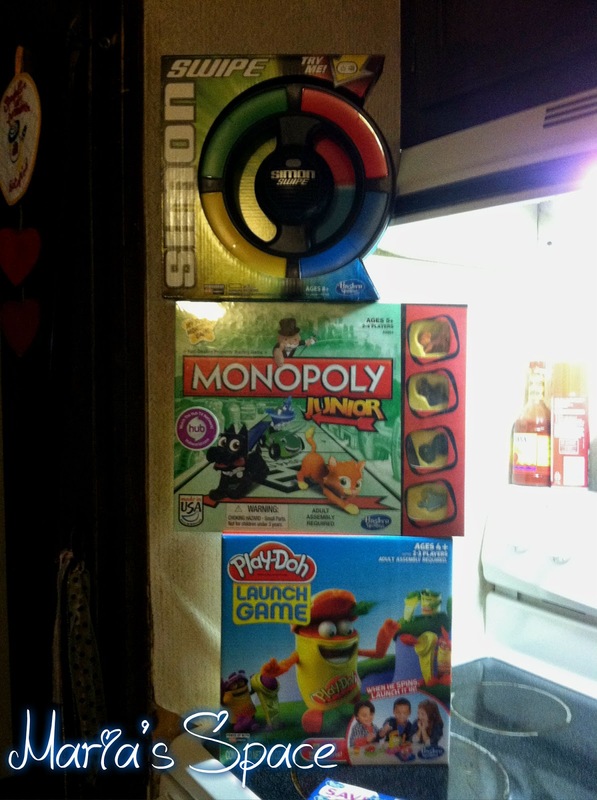 Lastly, we love our Playdoh and I can't imagine a time where we will not have a Playdoh can in this house. 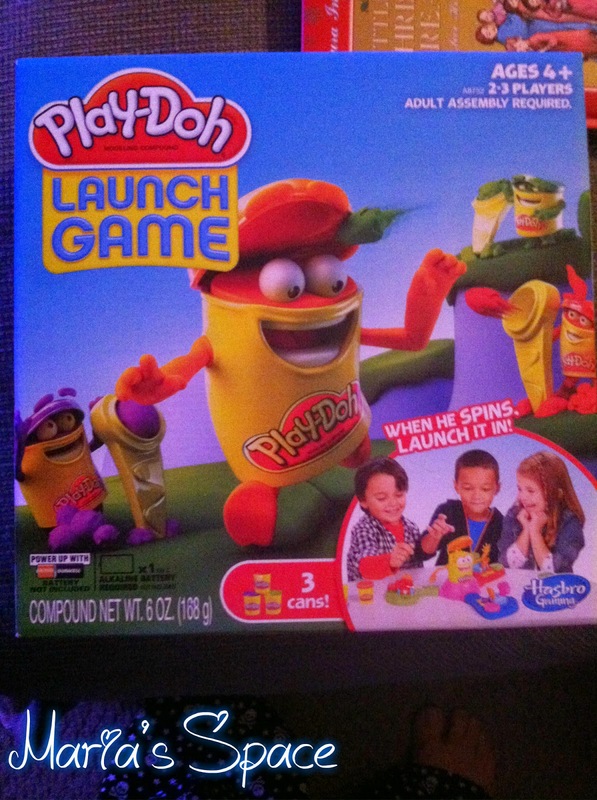 We were thrilled to try out Playdoh Launch. 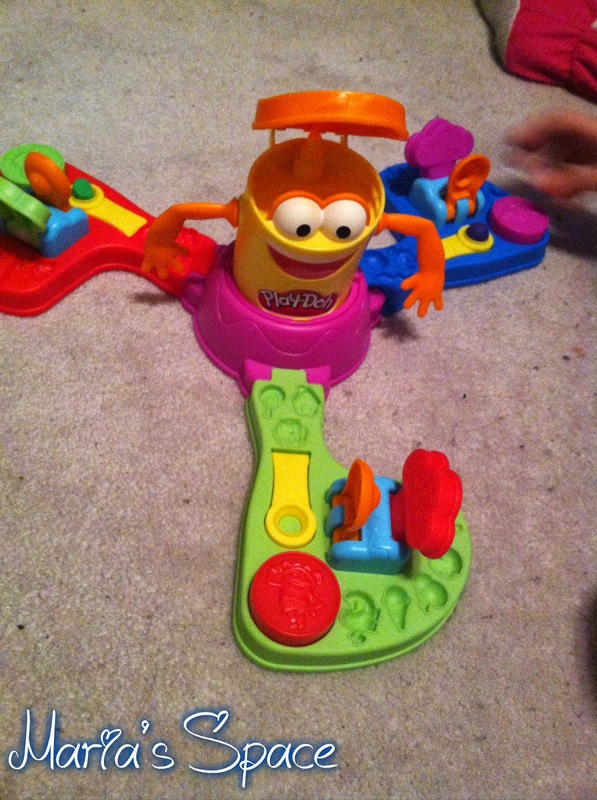 In Playdoh Launch you create balls with Playdoh and launch it into the Playdoh canister as it spins around opening and closing it's mouth! We love this type of game. What a great way to spend time with your kids to laugh and play. Unplug your kids and make memories that will last a lifetime. Disclaimer: We received complimentary products for our honest opinion as a Bzzagent. No monetary compensation was offered.